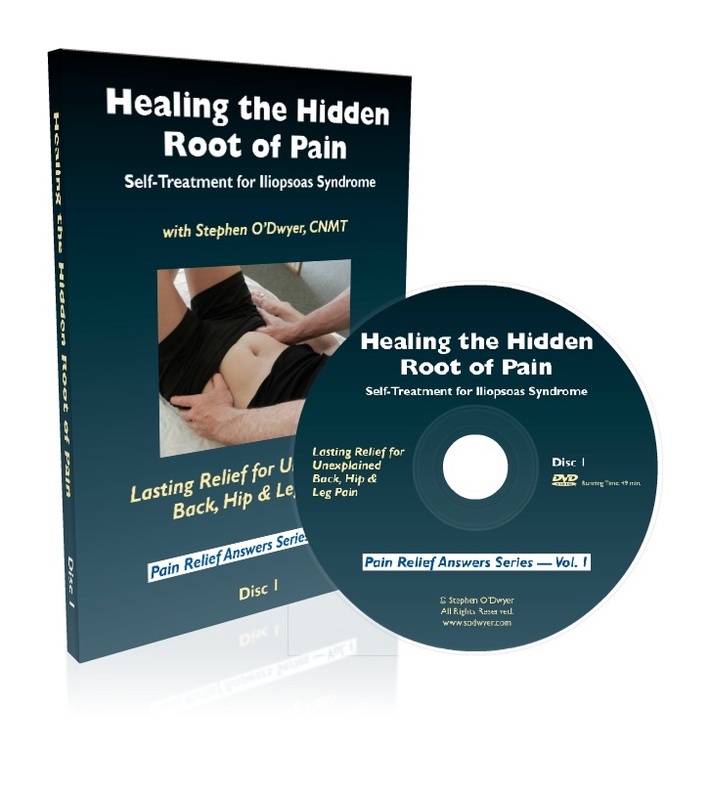 The information in Lower-back-pain-answers.com is not intended as a substitute for individual medical professional help or advice but is to be used only as an aid in understanding back pain. A physician should always be consulted for back pain or any health problem. The entire contents of the lower-back-pain-answers.com website, such as text, graphics, images, contained on this site is for informational purposes only. Information displayed on lower-back-pain-answers.com should not be used to replace medical advice received from qualified health care professionals, but should be used to complement such advice. Always consult in person with a trained health professional on any health matters and seek the advice of your physician or other qualified health provider with any questions you may have regarding a medical condition. Lower-back-pain-answers.com does not recommend any specific treatment, product or therapy. We aim to give you information on the options available and empower you to make your own decision on what treatment, product or therapy you would like to try. Use of any information, purchase of any product, or a decision for any procedure, therapy, treatment or product that is mentioned on lower-back-pain-answers.com, or any site that it links to, is solely at your discretion at your own risk. Lower-back-pain-answers.com accepts no liability for any decisions you make that result from or are influenced by content or communication from lower-back-pain-answers.com. Lower-back-pain-answers.com does not assume responsibility for the information provided and opinions expressed within this website. Ideas or opinions expressed by participants in the lower-back-pain-answers.com website do not necessarily reflect those of lower-back-pain-answers.com. This website may contain links to other websites or contain advertisements for products and/or services of other organizations. We do not in any way endorse or have any responsibility for such organizations or websites or their products/services. This site contains links to other internet sites. These links are not endorsements of any products or services in such sites, and no information in such site has been endorsed or approved by this site. Lower-back-pain-answers.com provides links to other organizations as a service to our readers and is not responsible for the information, services, or products provided by these web sites, health professionals, or companies. Material on this site is protected by copyright. The copyright owner is Stephen O’Dwyer unless stated. You may not make alterations or additions to the material on this site, or sell it or misappropriate it. Material may be downloaded or copied for personal use. However, appropriate acknowledgment of the copyright owner is required if material is re-published in any format. All rights in the products and services mentioned in this website remain the property of Stephen O’Dwyer or the organization permitted to advertise on this website to which the particular products belong. You must not use this website to promote, publish or disseminate anything that is, or may be, prohibited by law, obscene, offensive, indecent, threatening, harassing, defamatory or otherwise unlawful. You must not post anything that infringes our intellectual property rights or those of any third party or that constitutes confidential information belonging to anyone other than yourself. You must not use any device, software file or mechanism that may interfere with the proper operation of this website or our system. Whilst lower-back-pain-answers.com takes great care to ensure that the information it provides on this website is correct we cannot guarantee that the information will be accurate, complete or up-to-date. We give no warranty, either express or implied, as to accuracy, fitness for purpose or quality of the information contained in this website. We aim to keep our information up to date and accurate but we cannot be held responsible for any inaccuracies or omissions in the information we provide.You can see how up-to-date each piece of information is on our website by checking the date shown at the end of the item. After that date, it is possible that new research may now be available. If you see anything on this website that you believe is untrue, incorrect or out of date, please notify us and we will re-evaluate the information. We give no warranties whether express or implied as to completeness, accuracy, fitness for purpose, satisfactory quality or infringement of intellectual property rights referred to in the information contained in this website. No warranty is given by Lower-back-pain-answers.com, or by any other organization whose details or information appear to be here. Lower-back-pain-answers.com shall not be liable for any loss (whether direct, indirect or consequential) and/or damage arising out of your use of, or inability to use, this website or from any error or omission in the information on the website. Lower-back-pain-answers.com assumes no responsibility for any injury and/or damage to persons or property as a matter of products liability, negligence or otherwise, or from any use or operation of any methods, products, instruction, or ideas contained in the material provided by this website. The information provided at or through this site is general and is not advice on any particular matter. There may be omissions or inaccuracies in information contained at this site. Accordingly, you should not act on the basis of any information accessed at or through this site without obtaining and considering appropriate professional advice appropriate to your personal circumstances. We and our employees and agents will not be liable and expressly disclaim liability to any person in respect of anything and the consequences of anything done or omitted to be done by any person in whole or partial reliance on any information accessed at or through this site. These terms shall be governed by United States law and shall be subject to the non-exclusive jurisdiction of the U.S. courts. This site is administered by us from our offices in Burlington, VT USA. These terms and your use of the site and any disputes between you and us shall be governed by and construed in accordance with the laws of the United States, without giving effect to any principles of conflicts of law. Any legal proceedings arising out of or in connection with the use of this site must be commenced in the appropriate court in the United States. If you use this site from locations outside of the United States, you are solely responsible for compliance with your local laws. We cannot and do not guarantee or warrant that any files available for downloading through this site will be free of infection or viruses, worms, Trojan horses or other code that manifests contaminating or destructive properties. You are responsible for implementing sufficient procedures and checkpoints to satisfy your particular requirements for accuracy of data input and output, and for maintaining an appropriate means for the reconstruction of any lost data. You must indemnify the owners, operators and developers of this site against any claims, liabilities or losses that may be made against or sustained by any of them arising from your breach of these terms or otherwise howsoever from your use of this site. If any provision of these terms is unlawful, void or for any reason unenforceable, then that provision shall be deemed severed from these terms and shall not affect the validity and enforceability of any remaining provisions. We reserve the right, at our discretion, to change, modify, add or remove parts of these Terms at any time. Please check these Terms periodically for changes.